I am the owner of a freehold apartment in International City, Dubai, and the same has been occupied by a tenant. He has lost his job but returned to UAE on a visit visa, and subleased the apartment to his friends. Can I evict him and the subtenants before the completion of contract? The existing tenancy contract expires in mid-March this year. Who should I approach for a solution? Pursuant to your queries your tenant cannot sublet the rented premises to him to another third party without your prior written approval. The landlord has the right to notify the tenant to vacate the premises in the event of subletting of premises to any other third party. This is in accordance with Article 25(1)(a) of Law No. 33 of 2008 Amending Law No. 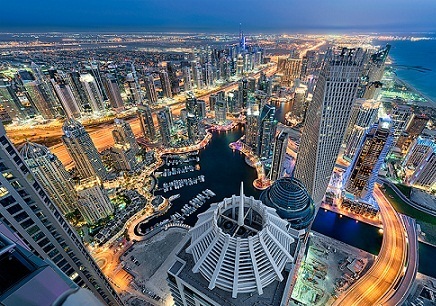 26 of 2007 Regulating the Relationship between landlords and tenants in the Emirate of Dubai. Based on the above provision of law it is recommended that the notice attested by a notary public be served to both the tenants and subtenant(s) to evict the premises with immediate effect. Further you may file a case before the centre for settlement of disputes between landlords and tenants in Dubai. Article 25(1)(a) of Law No. 33 of 2008 Amending Law No. 26 of 2007 states: The landlord may seek eviction of the tenant from the real property prior to the expiry of the term of the tenancy where the tenant sublets the real property or any part thereof without obtaining the landlord’s approval in writing. I have been working in a private hospital as a registered nurse for the last seven months, but have now received an offer to work in the government sector. I am employed on unlimited contract of employment with 30 days’ notice period. But my company’s offer letter stipulates 90 days of notice period is required to quit the employment. Which one am I obligated to follow? Is there a chance for a ban from my previous employer? Will they sue me and can interfere with the transfer? Pursuant to your queries, the notice period mentioned in your employment contract registered with the Ministry of Human Resources and Emiritisation (the ‘Ministry’) supersedes the notice period mentioned in your company’s offer letter. Therefore you may serve 30 days of notice to resign from your employment. Further, it should be noted that you are a registered nurse and no employment ban will be applicable to you in the UAE to be employed with another employer. This is in accordance to Article 2 of Ministerial Order No. 13 of 1991 regarding The Organisation of the Transfer of Sponsorships of Non-national Employee the Rules Governing the Same” issued by the Ministry which states, non-national employees may be allowed to transfer one job to another and hence the transfer of their sponsorship from a private firm to another or from a private firm to another or to a government department. I own a trading company in Dubai and have been delivering materials to your customers with an agreement that the proceeds of business which will be paid in 60-90 in advance. Several customers are due to pay their invoices, which is less than Dh10,000/- per person. When more than 35 customers are not paying their dues it amounts to quite significant amount. Can I sue them and approach court as they are refusing to pay? Pursuant to your queries, we assume that you have a written agreement related to the payments to be made to you by your customers. It is recommended you obtain a post-dated cheque for the outstanding amount from your customers so it is easier and safest mode for recovery of money. However, if your customers are not willing to hand over any cheques and are not willing to pay it is advised you may open a civil suit against them in the Dubai Courts or alternatively you may approach the small claims courts in Dubai International Financial Courts for recovery of money based on the documents which you possess for outstanding dues. Further, for customers who have provided you post-dated cheques in the event of dishonour you may approach the police station having jurisdiction to file a criminal complaint for dishonour of cheques.